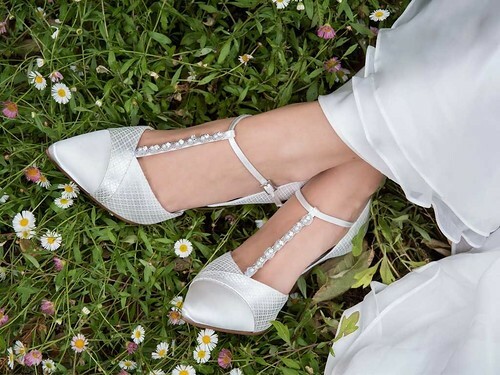 A brand new stand-out bridal shoe in our Fashion Collection, Astrid is crafted from a beautiful blend of ivory satin and our new and exclusive Italian cosmic lace. 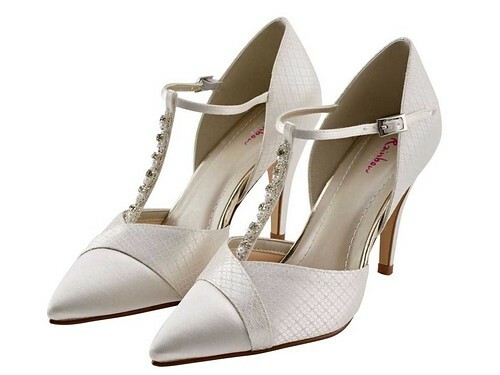 Modern and sleek, these open waist courts feature a softly pointed toe and slender heel. They have a stylish crossover design across the front in the cosmic lace and a T-bar with stunning diamante and pearl embellishment.